Auspicion captures attention with its dynamically ornate elements of mystery and mysticism. "mystical connection between all things". Which collectively, reflects a complex and rewarding experience with each glass of Auspicion. Fresh and fruit-forward selections are produced using grapes sourced from the finest vineyards across central and northern California. 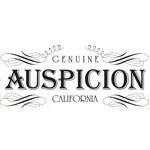 Auspicion features two popular varietals that are sure to delight every consumer palate. Brought to you by the Opici family, this collection embodies their tradition of delivering top quality wines at an excellent value. Great fruit character, finesse, and fullness in the palate. Flavors of ripe pineapple, golden apple, and Anjou pear are balanced by citrus notes and a smooth, creamy finish. Vinified in stainless steel, the wine underwent partial malolactic fermentation before bottling, adding a touch of creaminess.